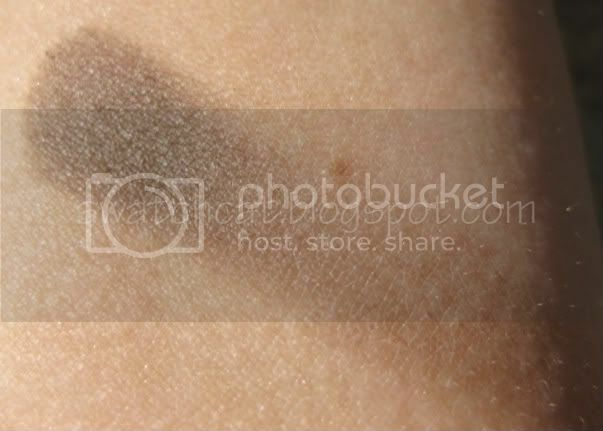 I've had these shadows for awhile, but I'm just getting around to posting the swatches now because I'm lazy. Sorry, it's the cold, hard truth. I have a couple of lip products to post, too. Judging by how long it took me to post the shadows, I should have the lip stuff up by spring. Kidding, kidding...it'll be summer before I get around to it. OK, in all seriousness, I'll get the lip products posted tomorrow. I actually have huge backlog of stuff, not including the few new things I've gotten in, PLUS the plans I have for swatching my current holdings. 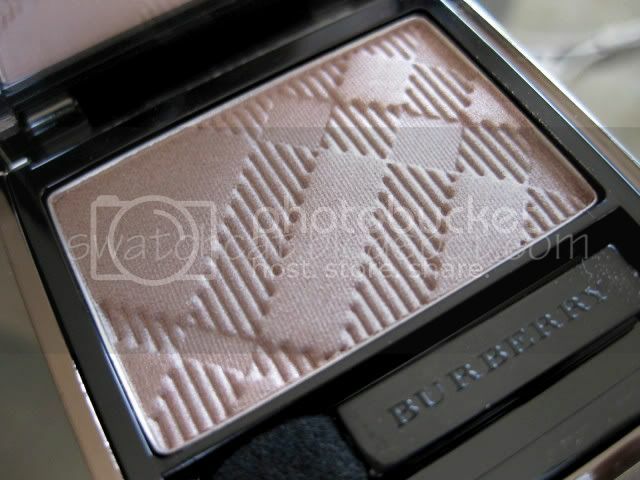 Now for today's post, Burberry Sheer Eyeshadows in Rosewood and Taupe. These shadows are anything but sheer. 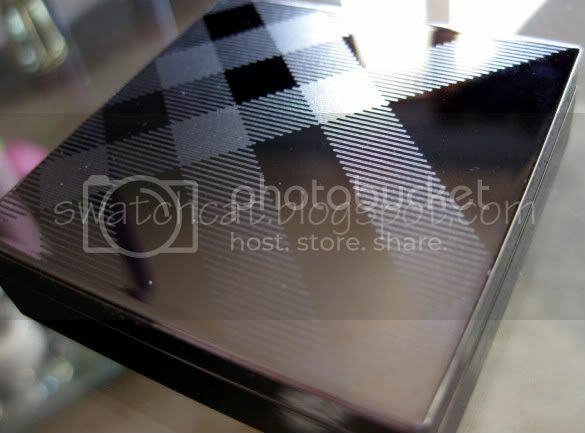 They are silky soft and highly pigmented, and are etched with the iconic Burberry plaid check design. They come in a sturdy, mirrored compact with a magnetic closure. 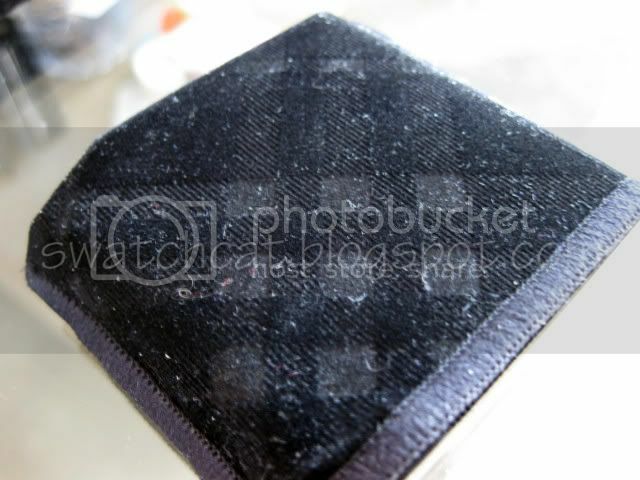 The compact is etched with same plaid check design and tucked into a velvet protective case (much like Chanel's). Truly everything a luxury product should be. 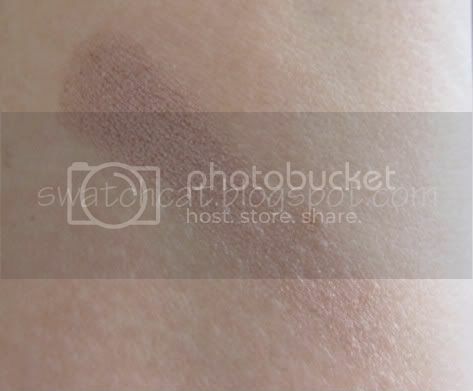 See the swatches after the jump! Rosewood is a soft, shimmery taupe with a hint of pink. I love wearing for an easy, daytime look with a bit of mascara and liner. The hint of pink is great for helping sleepy eyes look wide-awake. Perfect for those days I sleep in a bit too late...as if that ever happens! 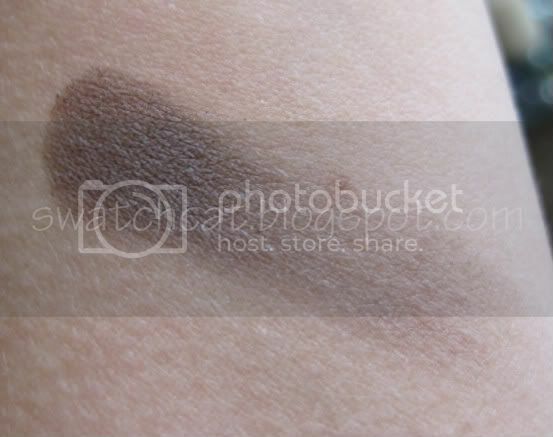 Taupe is, well...a matte taupe. Soft, easily blendable, and not chalky at all. 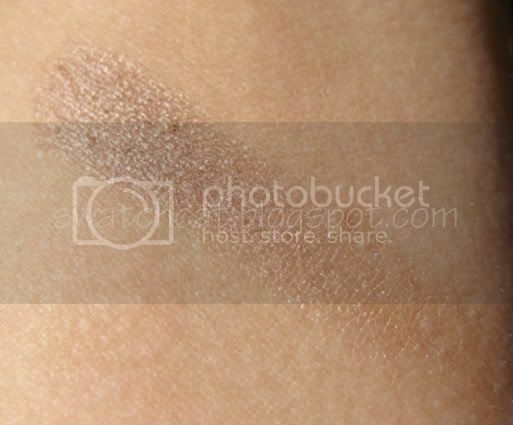 Taupe actually pairs quite nicely with Rosewood, or is great on it's own for a soft, smokey eye. I have been rather impressed with these shadows. They are long-lasting and crease-resistant (remember to use a primer and/or base!). At $29, they are pricey than MAC or Urban Decay, but around the same price-point as other luxury brands. 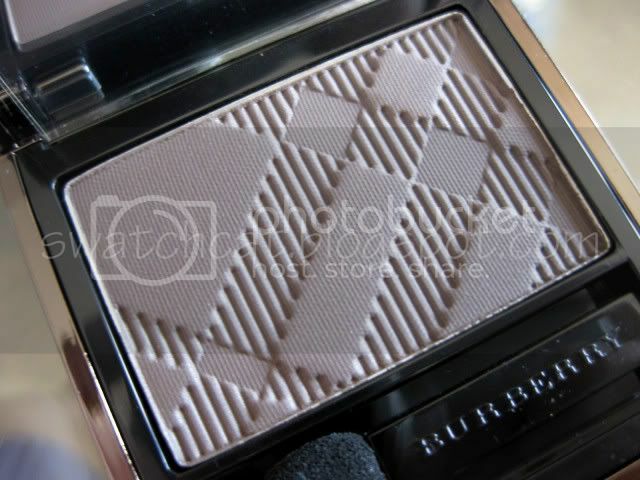 Burberry's shadows are also a full 1g larger, so you get a lot more product for the price. I certainly plan on purchasing more colors in the future. You can get Burberry from Nordstrom.com.